Now if you’ve made it past the headline and haven’t already completely dismissed me as an absolute lunatic, I commend you. You are certainly in the minority and your ability and desire to take the road less traveled to read further is a sign of your gracious open-mindedness. Since you’re here anyway, do me a solid, and hear me out. 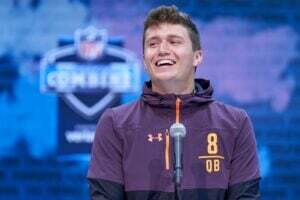 There is a less expensive George Kittle in your startups for the taking and he plays his home games in New York. It’s not Chris Herndon, its Evan Engram for a few reasons that I’ll mention below. The San Francisco 49ers team as a whole amassed 532 passing attempts in 2018, far less than the 583 attempted by the Eli-led Giants that season. Of these, Kittle commanded 135 of them, making him the second most targeted tight end by target share (26.4 percent). The explanation behind the bump in opportunities is multifaceted. And since opportunity correlates most closely with fantasy points this should be explored. Kittle is a freak. At six feet four inches, 247 pounds Kittle combines prototypical size with rare speed (94th percentile size adjusted), burst (89th percentile), and agility (100th percentile) per playerprofiler. That coupled with the strength to be an effective in-line blocker allowed him to be used nearly every snap. His ability to create extra yards after the catch (6.3 YAC/TGT) after all of this made him the obvious man to be hyper-targeted in that offense. Kittle played most of the season with next to no competition for targets. Jerick McKinnon’s presence in the intermediate pass-catcher role was halted by injury before it began. Pierre Garcon’s knee injuries made him a non-factor in the games he managed to find his way to the field. Marquise Goodwin teased last offseason only to start eight games and account for 43 of those 532 targets. And as a rookie, Dante Pettis was still learning the ropes. Kittle clearly outclassed every target in the offense by some margin. While there isn’t a true like for like comparison of the two that holds water there are some similarities in the two situations. burst (86th percentile), and agility (90th percentile) make him too quick to match up against. And though he has been said to be a liability in the blocking game earlier in his career he has steadily improved in this aspect. His 5.9 YAC yards per target was third in the league last season amongst his tight end peers. While his air yards and targets dropped in 208 due to injury, his RACR was the highest among TEs in 2018 and WOPR was a top 12 mark. His catch rate also rose dramatically by almost ten percent. Let’s not forget after just one season how dominant he has been this early into his career. 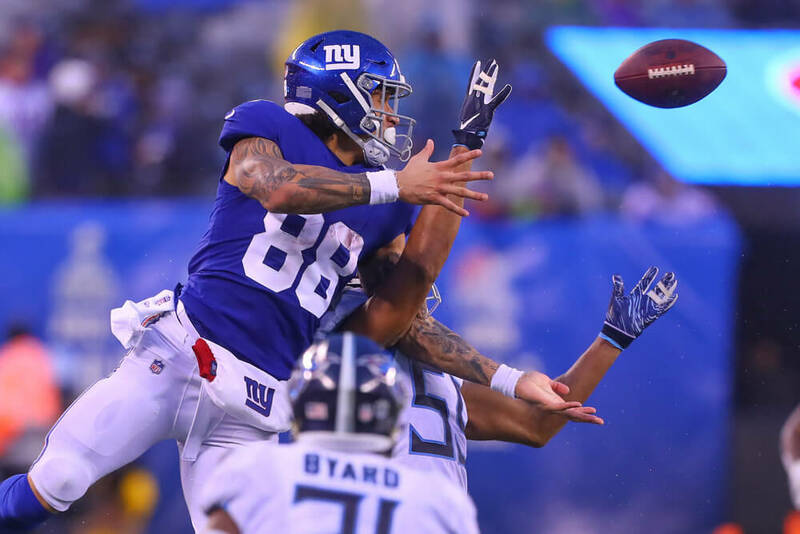 Like Kittle, Evan Engram is likely poised to operate as his team’s number one target on offense following the departure of Odell Beckham Jr. this offseason. The $40M+ extension of Sterling Shepard and addition of Golden Tate don’t provide the talent level on the outside to usurp Engram by any means and his effectiveness without Odell in the lineup was obvious last season. In 2018, Engram averaged 80 YPG in games without OBJ and showed how effective he could be as his team’s number one read. Though Eli remains a problem at the QB position (like Mullens and Beathard were last season) Engram’s SROA (success rate over average) was far and above what the Giants were getting from the rest of their team as pictured here. Both Evan Engram and George Kittle can lay claim to top ten rookie TE performances all time by the numbers and it would pay to view both of these talents in similar lights as they will continue to find themselves in similar situations with the talent surrounding them. Save a few rounds of draft capital and target Engram in your 2019 startups.